So you’ve invested in smart lights, a connected security camera, a couple of smart plugs, and probably a smart speaker or two around your house. You’re thinking of maybe adding a robot vacuum to the mix. But the idea of adding yet another app to your already cluttered phone is exhausting—what do you do? To get around the fact that tech companies can’t seem to agree on a single smart home protocol, voice assistants have arisen as the natural solution. And they’re no longer limited to speakers, either. Amazon made a convincing case for smart displays with its original Echo Show. Since then, Apple, Lenovo, and Google have all hopped onboard with the idea of a full-fledged, voice-activated smart home console. In other words, these things are smart speakers with a screen that you can use to control your entire home. Both the Lenovo Smart Display (£160) and the Google Home Hub (£140) are powered by Google Assistant. And Amazon’s second-generation Echo Show ($230) fixed a lot of the issues we had with the original, by updating the design to increase the display area and moving the speaker to the back of the device. Apple’s HomePod (£320) has a lot of the same functionality, but it lacks a full display, is severely limited by Apple’s walled garden ecosystem (read: HomeKit), and suffers since Siri isn’t nearly as good as Alexa or Google Assistant. With the exception of the HomePod, these devices are all under £250, with the Home Hub as the most affordable of the bunch. We put these devices—though we decided to preemptively toss the HomePod for the aforementioned reasons—through the wringer in three battles: one for device control, one for communication, and a final test for how well they use the display. It was close, but in the end, a clear winner emerged. The raison d’etre of these smart home consoles is so you can spend less time yelling angrily at your phone things like “SIRI WHY WON’T YOU TURN ON MY LIVING ROOM LIGHTS?” To do that, we decided to see just how easy it would be to set up and control different kinds of wifi-enabled gadgets you might find in a typical smart home. First, we tried turning on and off some smart lights. Then, we tried casting content onto a smart TV. Lastly, we tried monitoring a security camera feed. This is also a good time to point out that these devices aren’t true, full-fledged home hubs (despite the name of that one Google device). They’re more of a clever workaround and an access point for certain connected devices, which is why we call them consoles. Fully-featured hubs can support wireless standards like Zigbee and Z-Wave, so they can bypass wifi. The Amazon Echo Plus and the Logitech Harmony Hub are examples. However, the Amazon Echo Show, Lenovo Smart Display, and Google Home Hub operate exclusively over wifi. Confused? That’s okay. Smart lights are a good example of how messy controlling IoT devices can be. Philip’s Hue smart bulbs talk to each other through Zigbee, and talk to your phone (so you can have fancy features like geofencing and remote control) through a separate wifi hub. Meanwhile, LIFX bulbs come with wifi built-in, so all you have to do is download an app. Others, like Ikea’s Tradfri lights communicate with physical remotes and dimmers over Bluetooth, but also work with separate wifi hubs to enable things like scheduling. This can make setup tedious and extremely painful. And that was unfortunately the case with Amazon’s Echo Show 2. For whatever reason, we kept having to install and reinstall Alexa skills. With the lights, Alexa just couldn’t seem to recognise them by name or to locate them properly, even when they were correctly set up. The same was true of trying to cast an episode of The Marvelous Mrs Maisel on an Amazon Fire TV. There simply wasn’t any synergy between the devices, despite the fact that they were both made by Amazon. Also, trying to monitor a feed on Amazon’s own Cloud camera was a veritable nightmare. While all these devices eventually worked with the Echo Show, the whole process involved more than 90 minutes of hair-pulling and copious swearing. Things went much smoother with the Lenovo Smart Display and Google Home Hub. While Alexa used to dominate the voice assistant field, Google Assistant has made giant strides in recent years. That shows as setup and testing was significantly faster—less than an hour for both consoles—and interacting with Google was much more intuitive. These two devices delivered a very similar experience, but the Google Home Hub was noticeably faster and smoother overall. Smart home consoles aren’t just glorified speakers with displays. You can also use them as a futuristic alternative to your traditional landline. So for this battle, we wanted to see how well they could call friends and send messages. The Lenovo Smart Display did an admirable job. It was easy to make a video call, but it did require using Google Duo. Picture and audio quality were both decent. However, one thing was Google Assistant still can’t do is send text messages. 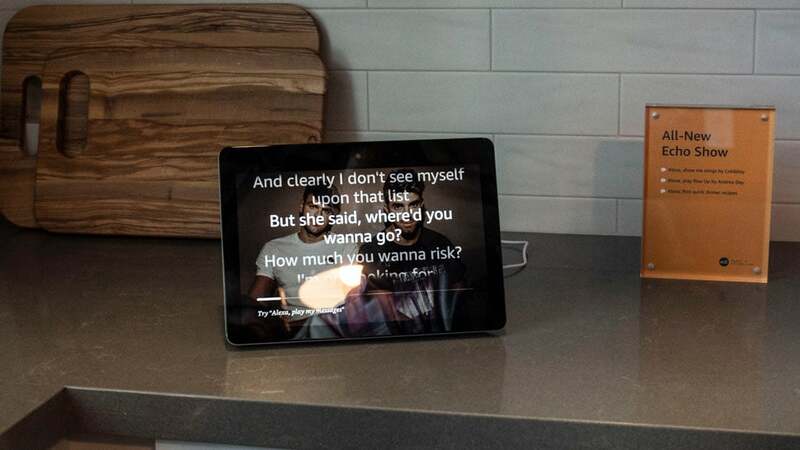 The Google Home Hub suffered the same limitation regarding texting. But also, unlike the Lenovo Smart Display, the Home Hub doesn’t have a video camera—that means audio calls only. That’s a win when it comes to privacy, but maybe not the best for overall communication. Despite its struggles in the device control battle, communication is where the Amazon Echo Show 2 showed its mettle. Video calls were easy to place, and both video and audio quality was great. It was also easy to ask Alexa to send a message. Plus, if you have multiple Amazon displays—like an Echo Spot—you can effectively create a mini video intercom network in your house. 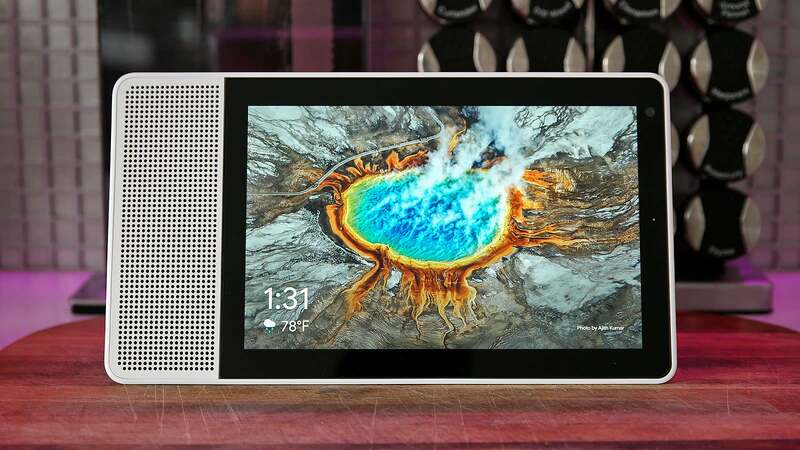 While the original Echo Show had its fair share of issues, one thing it did well was give you a reason to want a smart display. For this battle, we decided to look up a recipe and see how easy each console made it to follow along hands-free. After all, you probably don’t want to muck up a nice display with greasy hands. The Echo Show had the nicest display, but searching for a simple cheese omelette recipe wasn’t the easiest. Voice cues were decently easy to follow along, but Alexa isn’t the greatest at follow up questions. The Echo Show also didn’t really make use of its gorgeous display, as recipes were just blocks of text instructions on a black background. Again, this battle was also a close call between the Lenovo Smart Display and the Google Home Hub. That’s because—you guessed it—both are powered by Google Assistant. However, both had an edge over the Echo Show. First, any recipe you like can be saved in a virtual cookbook. It was also way more intuitive to call up video search results for related cooking techniques. And, as a nice touch, Google actually shows you a colourful little background illustration of your ingredients while you’re cooking. Like with our first battle, it came down to speed. For whatever reason, Google Assistant is just a tad speedier on the Home Hub. 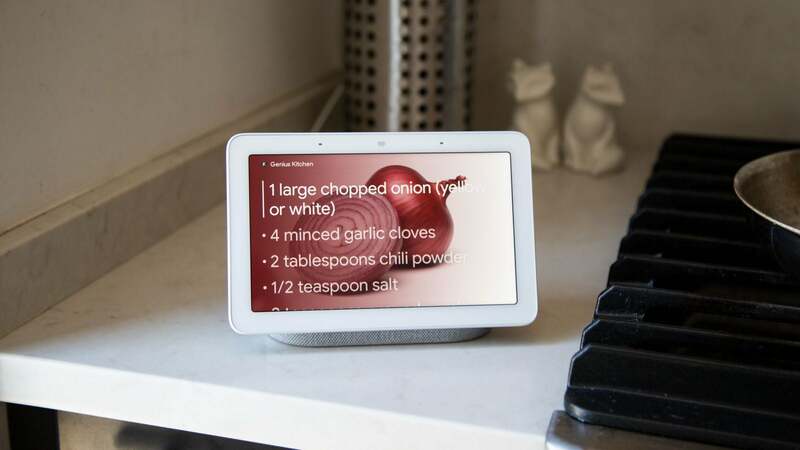 Also, the Home Hub’s smaller form factor just seemed to suit the recipe format better and took up way less counter space. At the end of the day, there can be only one Battlemodo winner. And in this case, it’s the Google Home Hub. Not only did it deliver the speediest performance, Google Assistant was just a more pleasant experience overall. That’s not to say the Lenovo Smart Display and Amazon Echo Show aren’t good consoles. The Lenovo Smart Display is a solid device that performed admirably in all three tests, just barely losing out to the Home Hub in speed. Likewise, the Echo Show does what it’s supposed to do—even if setup can be a bit of a nightmare. Though, if you’ve already bought into the Echo ecosystem, then the Show is still a good purchase. Of course, ecosystem plays a role in whichever console you choose, and you’ll want to keep your existing gadgets in mind. That said, at £140 the Google Home Hub is the cheapest of the bunch and delivered the most consistent performance, winning two of three battles. All reasons why it’s our Battlemodo winner and the smart home console you should buy.